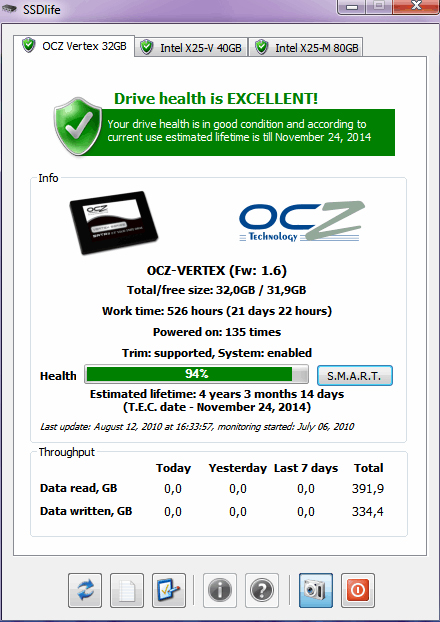 How long is your solid-state drive going to last? That's the big question now, isn't it? If only there were a way for you to know exactly how long you could go before having to upgrade your system, move critical data, and put off any hard-drive intensive projects. Thanks to today's discounted software promotion, SSDlife, you'll have a much better idea! 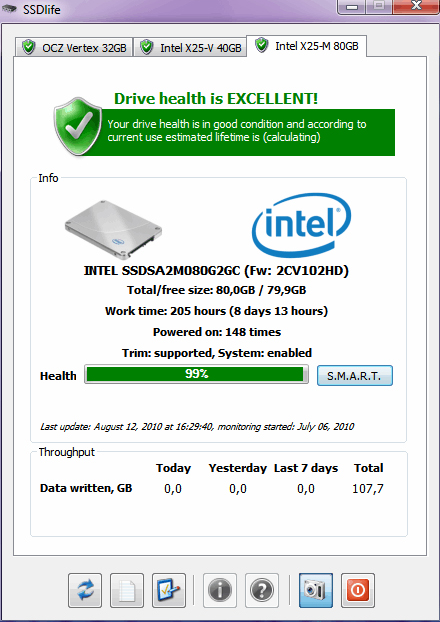 SSDlife measures the remaining life of your SSD based on your usage. Just one glance at SSDlife tells you everything that you need to know about your drive, from manufacturer and model to technical details. In fact, you can even use SSDlife to get a spot-on assessment of how "used" a used SSD really is! So get in the know today about your SSD's lifespan, with SSDlife -- available at a significant discount for a limited time! After you purchase SSDLife it may be used indefinitely. SSDLife is licensed per computer, and not per user. Emil Kucera Would it say anything about a thumb/flash USB drive ? MARCIN BULINSKI works with raid 0 ssd ? Constantin Florea @C B After you make a purchase of this BitsDuJour discount promotion, SSDLife may be used indefinitely. However at the moment there is a problem with this deal which means that we cannot bring you the reduced price! We're working on getting this fixed. C B Is the offered licence for using the software "forever" or just for ONE year ? Anybody want to do a comparison with Hard Disk Sentinel, a recent Bits ? Are they complementary or redundant ? I've been pleased with Hard Disk Sentinel and can recommend that you have at least one such hard disk monitor product, without overspending :) .